Cheer up! This is a great news for all the Marshmallow running Android fans. 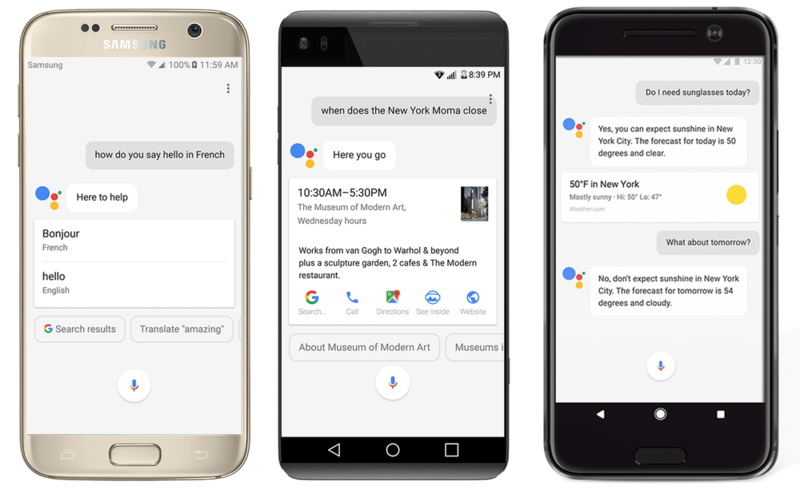 The Artificial Intelligent – Google Assist is coming to other phones running Android Marshmallow and Android Nougat. Google had already announced that it will be removing the old Google Now Launcher from the PlayStore. May that decision be made to lure users into buying Pixel phones or to increase the percentage of newer Android Version (Nougat). The Google Assistant will come automatically to all the devices running Nougat and Marshmallow with Google Play Services. Android Marshmallow still covers around 30.7% of the Android market. The exclusive phones like Nexus5 which still has a big user-base will be have finally access to the all new Google Assistant. The Google Assistant will begin rolling out this week to English users in the U.S., followed by English in Australia, Canada and the United Kingdom, as well as German speakers in Germany. We’ll continue to add more languages over the coming year. Google has also opened the Google Assistant to OEMs to get incorporated in upcoming mobile phones. As a result, LG G6 is rolling out with Google Assistant.